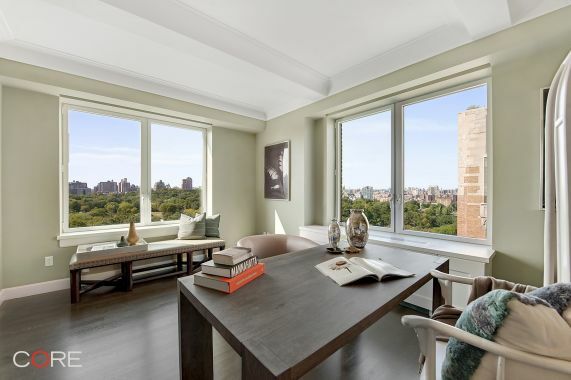 Rare find on Fifth Avenue with sweeping Central Park views! 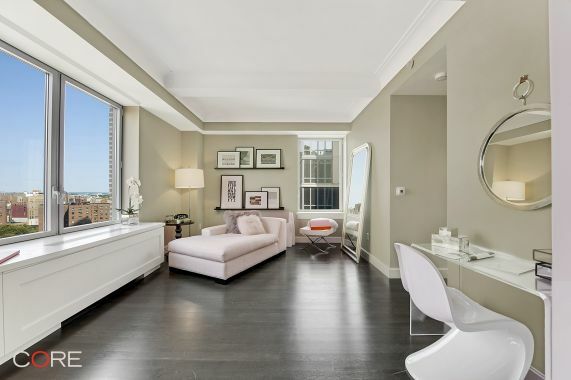 Offering pre-war charm with all of the modern luxury conveniences of new construction, this spectacular 4,022-square-foot, high floor, 5-bedroom condo boasts grand living space and breathtaking park views. Upon entering from the private elevator landing opening directly into this exceptional 10 room residence you are drawn to the beautifully appointed entertaining space featuring lofty ceilings, a gas fireplace, living, dining and library room with direct Central Park views as well as a versatile den/media room and office space. 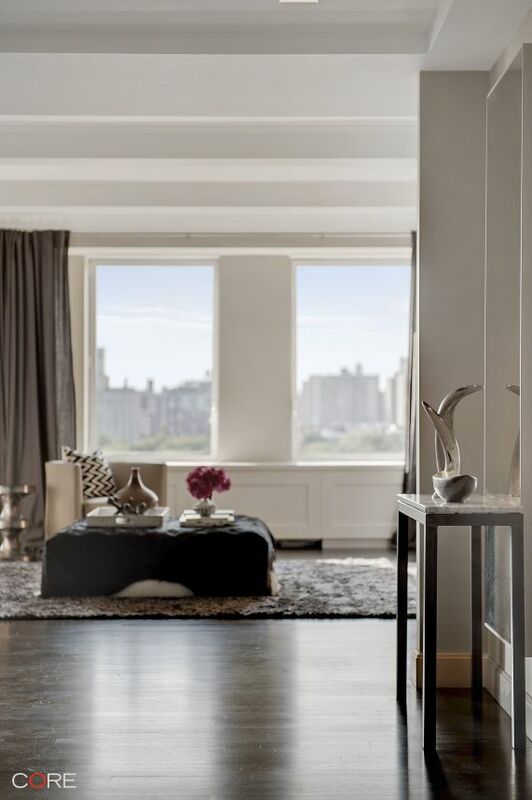 This residence has been meticulously constructed with plaster coffered ceilings and moldings, solid oak wood floors, solid core doors and recessed LED lighting. Custom millwork for the heat and air conditioning units enhances the beauty of the thermo-pane casement windows throughout the home and individual thermostats control the temperate of each room. 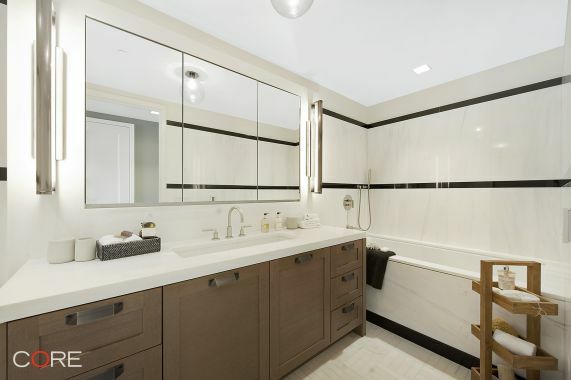 The state-of-the-art kitchen features Dornbracht fixtures, Miele and Bertazzoni appliances, Italian custom cabinets, Ceasarstone countertops and the luxurious bathrooms have been thoughtfully designed with radiant heated floors, custom vanities, Dolomiti marble and Dornbracht fixtures. Located on Fifth Avenue's Museum Mile, which houses ten world-class museums, 1212 Fifth Avenue is a unique pre-war conversion with LEED (Leadership in Energy and Environmental Design) Gold Certification status and one of the few condo buildings along Fifth Avenue. 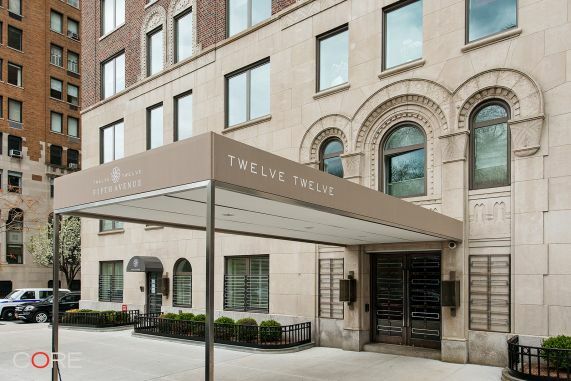 Originally constructed in 1925 and most recently converted and restored in 2012 by the team of Durst Fetner, S. Russell Groves and SLCE Architects, the transformation of 1212 Fifth Avenue exemplifies true craftsmanship and distinguishing attention to detail. 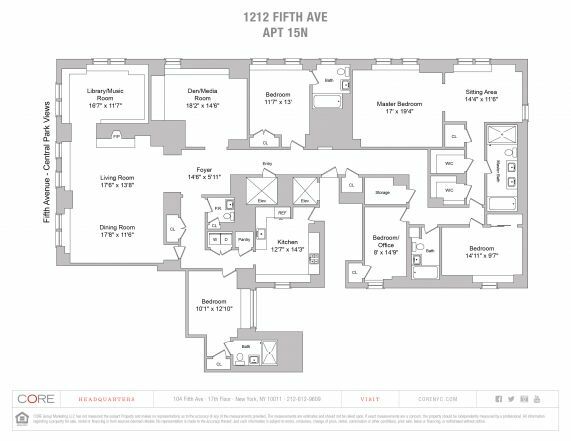 With only 55 units, this condo offers solitude and prestige perfect for someone high-profile who desires privacy. 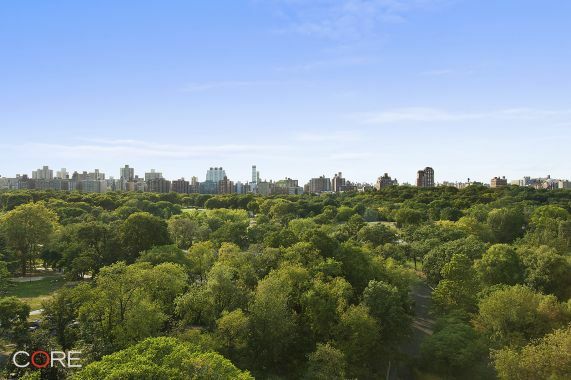 Amenities include a full service 24-hour concierge, live-in Resident Manager, 2,600-square-foot fitness center, residents' lounge, children's playroom, green building features, a bike room and convenient parking. 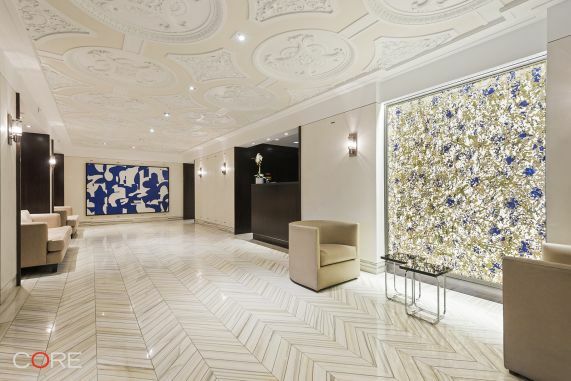 For an additional charge, this apartment is offered with the largest temperature-controlled storage unit in the building, located on the lobby level. 24-hour notice is required for showings.